Every year at this time, Americans reflect on what it is we are most grateful for as we celebrate the season of Thanksgiving. 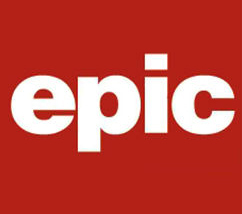 At EPIC, we are blessed with staff and volunteers who work tirelessly to enhance understanding of Iraq’s story, monitor the crisis to inform smarter policy, and provide relief to those who need it most. But we are most thankful for you – our supporters – who make all of our efforts possible. For nearly 20 years, you have stood by us as we rallied against crippling economic sanctions on Iraq in the 1990s, raised our voices to question the rush to war in 2003, and pressed the Bush and Obama administrations to protect civilians, provide humanitarian aid, and commit to reconstruction. As the last remnants of ISIS are driven from Iraq, we can not and will not stop in our pursuit of a lasting peace. From the EPIC family to yours, we wish you safe and happy Thanksgiving and look forward to sharing more about our work as the holiday season continues. Thank you for being a part of us.